NOTE, NOTE, NOTE: The small maps to the right on this page ARE NOT CORRECT due to a programming error that we are working to resolve. If you click on the "View Map and Directions" link below these small maps, you will see a correct map location and directions. Come mingle with classmates while enjoying food and drinks. This event is optional and not included in the price of the reunion. Everyone is responsible for his/her own tab. No RSVP necessary. This will be a guided tour of the building. There have been two major renovations since 1969. Come see all the changes and what is planned for the future (no charge). Meet in the courtyard, which is where the girls’ gym and cafeteria once were. No RSVP necessary. You may register above. The cost is $69.00 per person if paying by check, and $73.00 per person if paying by credit card (VISA, MasterCard, American Express, Discover). If paying by check, once you register on the website, there will be instructions as to how to make out the check and the mailing address. If you have special needs or a need for financial assistance, please call 404-396-9657 or email rhs544569@gmail.com. All requests will be kept in confidence and every effort will be made to help. If you change your email address or phone number, please update your profile on the website (www.Grady69.org). Just click on the ‘head and shoulders silhouette’ in the upper right corner and select “Edit Profile.” The website is the only way we are communicating with the class about the reunion. There are still many classmates that have not signed up on the website. Please check the website (Click “Missing Classmates” in the grey left navigation column) and see if you know where any of these people are. If you know how to get in touch with any, please contact them and encourage them to register on the website. If you know the whereabouts of someone but do not want to be the one to contact them, please call 404-396-9657 or email rhs544569@gmail.com with whatever contact information you have and we will take it from there. Group Photo – There will be a photographer there for a group picture. We anticipate the price to be $15.00, payable directly to the photographer that night, either cash or check. No credit cards will be accepted. 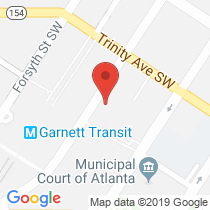 Parking – Parking is highly likely available in the parking garage at 150 Carnegie Way Northwest, Atlanta, GA 30303, for $6.00. Level 6 is the bridge that will take you directly to the level of the event. Parking is NOT guaranteed; if there are other events nearby, the garage may fill up. There are other lots nearby; people also might consider Uber, Lyft, or carpooling. PLEASE NOTE: If you choose Uber or Lyft, please give the address for the parking garage at 150 Carnegie Way Northwest. From the street take the garage elevator to Level 6. Hotel Accommodations – If you are interested in staying at the Westin Peachtree Plaza, which has direct access to the event facility, please email rhs544569@gmail.com. We will see if we can get a special rate. We want to give a special thank you to our classmate, Robert Galanti, the developer of this converted facility. Without his help we would not have been able to have the event in this iconic Davison’s building that (along with Rich’s) was such a big part of our growing up in Atlanta.